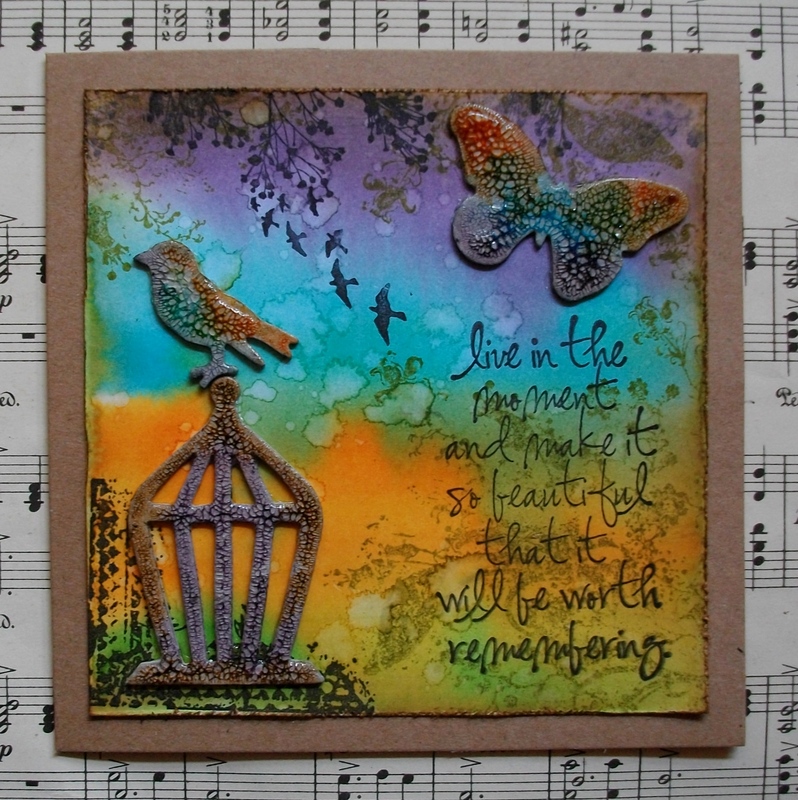 Here a little colourful card I made using Tim Holtz’s shattered stains technique. It was meant for the compendium of curiosities challenge, but I missed the deadline. But, this week’s Simon Say Stamp Challenge is Anything Goes, so I’m entering it for that challenge instead. The background was made with distress stains, that I spritzed, then held up so they could drip into each other. Then I flicked water on it. Love this effect. All stamps & die-cuts are Tim Holtz too.